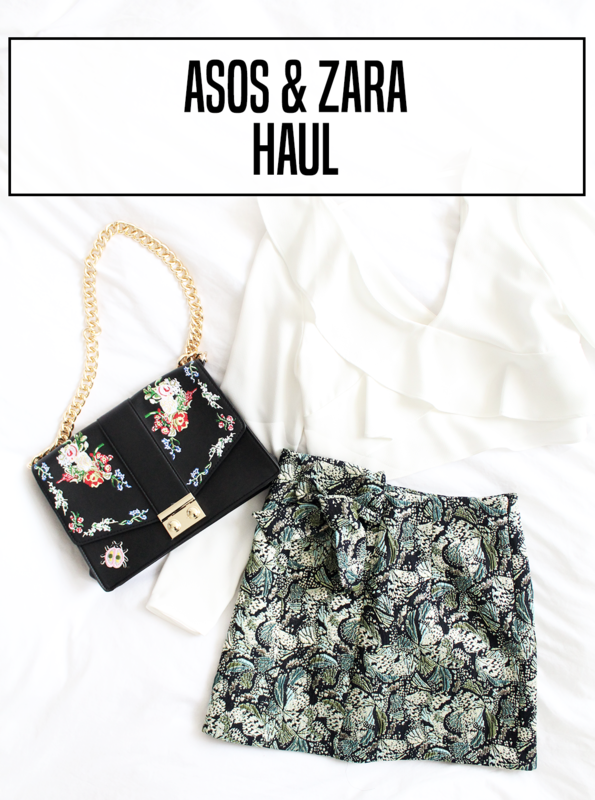 SPRING ZARA & ASOS HAUL | RAWR BOWS. I love fashion, fashion loves me but my bank account hates it. I swear every time I place an order online (who even shops in stores anymore) my heart stops for a second, that guilt feeling invades my body and I consider cancelling it but then I think how fab I would look in that dress and move on with my life. I must say, though, every item shown in this haul does actually have a purpose and I have a legit reason to buy it. I promise. 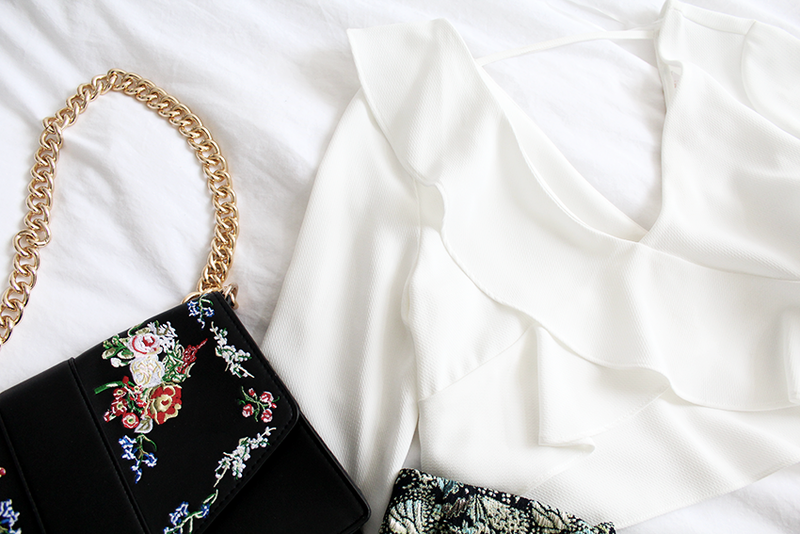 Let's start with my most recent purchase: this faux leather bag with flower embroidery which screams spring. I have been meaning to buy a new bag for over a year now, as I currently use my massive Longchamp bag for everything - from uni to weekend brunch. I decided to get this one because it is the perfect size, it's bigger than most shoulder bags which is perfect because I alway carry a lot of stuff with me. It was £30 on ASOS but unfortunately it is now sold out, sorry folks. Next, I got something I very very rarely buy: a jacquard skirt. I am a jeans kind of gal and the only times I wear dresses or skirts is when I have formal event (so like twice a year). I have my finalists' dinner coming up so I was in desperate need for something other than ripped jeans to wear and as the Spanish person that I am, I obviously went to Zara. What made me want to try on the skirt was the colours, I love the blend of blues and greens and the fit is also very nice! To pair with the skirt I got a cropped white blouse with some ruffles on the front (similar). 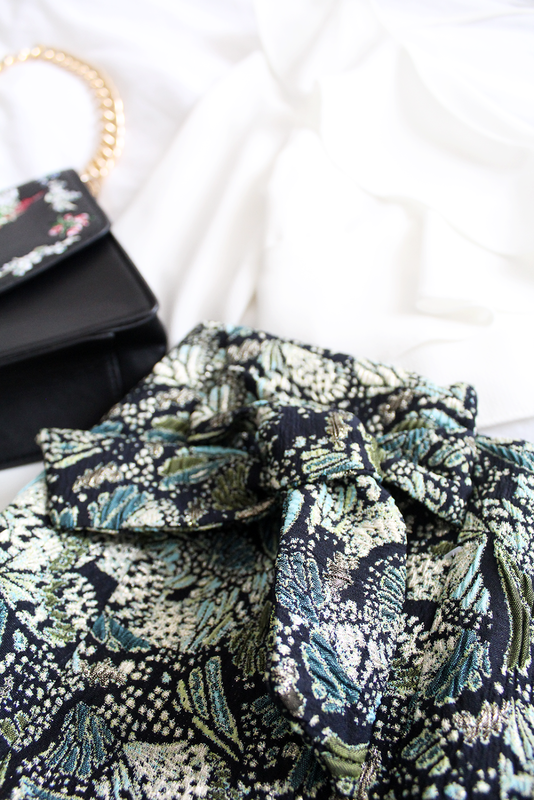 Ruffles are literally everywhere now, walk into any Zara store and you will see two things: ruffles and flowery prints. I caved in.